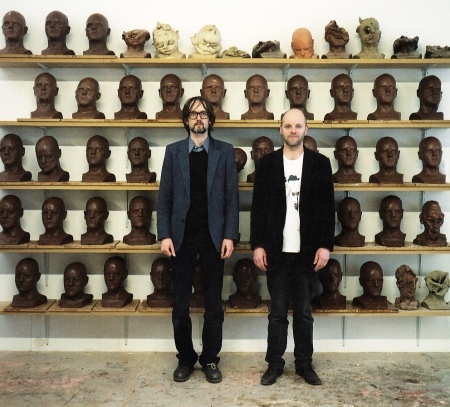 The British artist Gavin Turk meets the musician Jarvis Cocker in his London atelier. 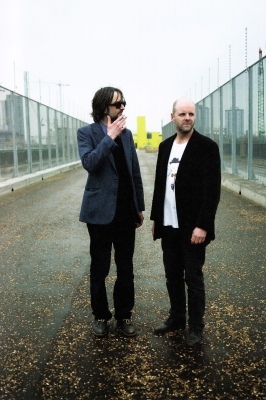 They talk about Pop, Reality TV, activating the audience and the concept of altermodernity - about Gavin Turk's clay workshop and Jarvis Cocker's music experiment in a Paris gallery, with music, yoga, aerobics and kid's days. All beginning with the question: what is music? GAVIN TURK: Right, so this is a 90 minute tape and we may run out of batteries. I've got another battery, I’ve got another tape, so basically we've had it. JARVIS COCKER: We'll probably run out of things to say before we run out of batteries. GT: I don't think you can ever really run out of things to say because the moment you get to the end, you realise that what you started with was wrong. So you can change it. When I spoke to the editor at the magazine about the fact that I proposed to have a conversation with you they said, "Yeah that's great, that would be brilliant". That was it. I spoke to the editor again last week and I said, "What do you think, should we talk about performance and things that I think the magazine seems to centre around?" He said, "No, no. You should try and talk about art schools and talk about the legacy of pop and things that are much more familiar." I said yes but when I put the phone down I thought it's actually quite difficult. Did you speak to Peter Blake recently? GT: He's one of those dudes who supposedly started the pop movement. JC: He said that it should've been shut down in 1962. It's difficult now to imagine that it was such a big deal, that you would use things from advertising and from popular culture and put them in paintings and people would go, "Oh no, you're not allowed to do that!" We're so used to seeing that now, aren't we? I don't think people really see a line between low culture and high culture. Is there one any more? GT: It's pop art as defined by the idea that it questions originality; that artists don't have to be this font of new ideas, that they can draw from the living, from the world now. Actually referencing and using daily occurrences and experiences becomes an almost necessary part of art. That art involves our everyday life. JC: I think you're right there. When you came on my radio show we talked about this, that it’s really part of what an artist does now, they're exposed to all the same stimuli as everybody else so there is such a barrage of information that it's part of an artist's function to stop and pick something out of the tumult flowing past everyday. I think we got onto that through the ring pulls or maybe from the squashed Coke cans. I really liked your explanation, that basically when somebody buys a can of Coke, it's not so much that they’re bothered about the drink. It's like they're saying, "Oh look. I've got a can of Coke, I like the design of this can, this is a statement about myself. I'm a Coke drinker." Then when the cans have been chucked away and squashed, they've kind of lost that function. GT: In this country pop art or pop culture is not an academic thing. People sort of know it, it's something commonplace. If you look at the idea of pop art in France, Germany, Spain or Italy, quite quickly you find when you start using the notion 'pop art' it becomes academic, even pop culture is academic. There is almost a sacred value placed upon it, which it really isn't in this country, I think. It's quite eroded and has a low value somehow, it's a non-specific term, a cliché possibly. JC: That's what I was trying to say to Peter. Whether he could really say there were pop painters anymore because advertising design has become more self-conscious. I guess the idea of pop, when it started, was that all this stuff was unselfconsciously made, advertising was just trying to get you to buy things. So, it was quite a mental flip to say 'Oh, let's use this in a different context. Let's not just have it as something to make you buy a drink or something, let’s use it as a picture. Let's take it out of that context and put a frame around it.' Now there aren't that many products or things that are just advertised in a straightforward way, that you could take out of a normal context. GT: No, it's very reflexive. JC: The last advert that I noticed was a Calgon advert on the telly, a thing for getting rid of lime scale from your washing machine and it was very straightforward and informative. Even they've gone a bit post-modern now. GT: Did it have scientists telling you about lime scale? JC: It was kind of like that. Now they think that’s not sophisticated enough, so you'd have to have a kind of jokey advert or you'd have to make it ultra stuffy. GT: I think that has to do with that sort of heightened reflexive situation, where you're advertising to people who are so integrally advertised at that in order to get to their level you have to acknowledge other adverts within your advert in order to show your identification, to show that you’re aware of the common perceptions. JC: Yes. It's a more sophisticated audience now, isn't it? GT: Reality TV has this idea of the audience taking part in the process of the broadcast or of the production of the art object or of the, let's just call it the cultural object. You were talking earlier about, and I don’t know if it's fair to say that it's a-bit like an art project for you, the notion of taking your band or taking various musicians and creating a space where the audience is invited to come, or maybe even as exercise with the yoga exhibition. JC: WelI, it was all part of the same thing. We were set up in this garage for a week and yes, we would have hour-long sessions where people could bring an instrument and play along. Then we would also do yoga sessions or we even had a kid's day to just try and involve people in things. The idea behind that was that culture shouldn't be just something passive where you go and consume it. I think that consumer society has bled through into other areas of life. I've kind of had a bee in my bonnet about that for a few years. So, people should realise it's a participatory thing, rather than a spectator thing. GT: I think it always was, just like a really good exhibition or a really good event is good, because the people at that event choose to lift that event into being something extra special. All too often people sit back in an almost passive position and watch as something takes place in front of their eyes and it gets less and less interesting. This actually gives them less and less choice. The whole economy of audience and object, I am using the word object but we're possibly talking about a performance or an event as an object, the whole thing just becomes less and less watchable. JC: I think that's what has happened with reality TV. At first it was just a novelty that people would be there and you would see them interacting and getting on each other's nerves. Then the viewer sees who wins and what kind of behaviour gets people to vote for you, and people in general modify their behaviour. That's why they're kind of phasing it out now, because its reached an impasse, hasn't it? GT: Is that what's happening, they're phasing it out? Is it good, is it bad? I don't know. JC: Reality isn't getting phased out. GT: No, no. The notion of reality TV is sort of sliding out of favour. Is that because the audience has actually become too involved in the process of constructing TV and having a say? Maybe! I was impressed by the whole idea that when it seemed a fait accompli that the X Factor girl or guy was going to have the number one at Christmas through internet user pressure, they managed to elevate a 17 year old song by Rage Against The Machine to number one in the charts. Which was actually like a shot in the arm, the fact that given the right stimulus and means to communicate, you can really change what seems to be an inevitable consumer activity. JC: Yes, that was a great event. I was very disheartened with all that X Factor business. I think it's entertaining as telly - the reason why I wanted to be in a pop band in the first place was that it always seemed that you couldn't manufacture stuff like that, that there was always an indefinable thing that meant that some things failed and some things did well. When the X Factor came along it seemed that they had found the formula, so you could guarantee that whoever won X Factor would be number one at Christmas and that just seemed so dull. So, the fact that there was a public ground swell of opinion that managed to sabotage this mechanism, I thought that was really great. GT: It was a valuable education as well because sometimes I get the feeling that I'm not involved. I feel quite withdrawn, the world seems to go on almost in a separate room with X Factor in it and it's a whole other world that I'm not really party to. The moment I saw that there was a challenge to that suddenly brought me back into the world again. It re-engaged me with this kind of popular cultural space. JC: Yes, because it reintroduces an element of... what's the best word to describe it? I shouldn't really say value, but the thing about the X Factor is the consumer element. Something is created, the public consumes it and nothing really happens. It sounds a bit snobby or whatever, but The Rage Against The Machine incident is saying it would be better for this to be number one because this song is actually saying something. GT: I didn't actually like the Rage Against The Machine song, particularly. I just saw it as a political statement. JC: It just shows that there is a large audience of people who do want things to mean something or want it to transport them or mean more than just a financial transaction. GT: Is there something more than a financial transaction? When you come back to the category of art, fine art, I find it very, very difficult. As far as the public is concerned, galleries open on a Saturday, you don't pay, you drift in and out and you see exhibitions. The other side of that is the construction of the industry of art, which is so market driven. I don't know whether I'm becoming old and jaded, maybe that is the legacy of pop art as well, that one of its elements is its ability to be consumed. I think at one point it used motifs of consumer consumption to disperse and enable the individual to think about consumer consumption, that one could see it up front and therefore examine its mechanisms and how things were being sold. The process as levels of boxes within boxes, or various forms of reflexivity of heightened understanding of situations just kind of implodes on itself - and I think that probably has to do with a post-modern environment. In the ‘modern’ environment there was this idea of big future and a global society with a sense of progress, a sense that things would move towards a future which was certainly more noble and high, out there and up there. Now I think that in terms of postmodernism, the future is relatively lateral, it's making do because there are various reality factors that always have to be included. JC: ...feelings, yes, from what's actually happening. GT: I know. Sometimes I feel so unqualified to really comment on it. JC: I do think it's true. Obviously music is the thing that I know the most about and the thing I'm most involved in. I certainly notice it. I don't know if you ever listen to Ken Bruce on Radio 2? He has a thing called Pop Master, it's like a music quiz. If you listen you can tell the difference between a record made in 1964 and a record made in 1968. The whole sound of it and what the song is trying to do is different. If you listen to some kind of pop single from, say 1993, and something released now there is only a slight difference. In terms of song construction or what the songs are about, there's very Iittle difference. GT: I think maybe everyone has realised that it's not necessarily about the song, it's about the package. So, it may be possible to take a song that was written and more or less put together in 1998, let's say, and get the right looking band together, the right looking video and the right looking PR and rerelease it and somehow it then gets out onto the airways. JC: I notice that I can answer the questions about records from the 60s much easier than I can when it gets to talking about what Westlife's fifth hit single was. GT: Is that also to do with your experience? My eldest child is 16 and he listens to a fair amount of pop music. He is obviously able to relatively quickly distinguish between stuff that I'm finding it difficult to distinguish between, in the same way that I know my parents found it difficult to distinguish between the stuff I was listening to. In a way what you're intimating is that somehow there is a Consensus opinion about the meaning of a song or the way a song can tell a story. There is a narrative that runs through the age, let's say through the 60s and 70s, which then becomes much more flat line. JC: From what you were saying about this idea of the future and the idea of progress, I think now we are in the future, aren't we? Things don't go away anymore. Storage systems that have become more sophisticated and people have access to them. So you can keep reliving the same moment and also you can preserve things. It's more like people's access to things has increased. I've come across it doing this radio show. You’re swamped by the number of records that there are. It's not just new records coming but it's also people are trawling through the vaults and reissuing things. So, everything is there and I don't know whether there's an analogy with the art world. I think there just is more stuff around now, isn't there, would you say? GT: It's interesting because I totally agree. With the music world it has gotten really accessible. Somehow you have this amazing access to lots more forms of music. In art, I actually don't think the same can be true. I think there's only so much art you can actually physically go and present yourself to, stand in front of. That's going to create a limit to art exposure, maybe you can have more galleries, although in away you don't really have many more galleries now than you did, say, in 1989. London probably has about as many galleries as it can handle, anyway. That means that physically there is a finite amount of art that's going to be on the wall. Yes, you can access art through the computer or through books or other forms of media but I think the actual experience of it is quite finite. JC: The music world and now it seems the film world are entering a crisis period because of the fact that there basicalLy isn't an object. Maybe that's why the art market and the art world are holding up because it all comes down to one object. Yes, you can have reproductions and postcards and pictures on the net, but there's still only one of that thing in the world. So, you can't get away from that, people always want to see the real thing. There isn't such a thing as the real thing with a song. GT: With the music, don't you think it's coming back to the idea of live performance? JC: Yes, because that is the one unique thing that you can do. That's basically where bands make their money now. GT: Yes. So, we come around to this strange point... how to come to grips, how to think about culture as a progressive form, or culture as something that's a healthy environment. JC: I think pop music has gone out of its pop phase, where the thing that was big about it were the records and it was flashy and it was duh-duh. The recorded aspect of it, that's become so much less important. I guess that's what first attracted pop artists, fine artists. The idea that there was this vibrant thing that kids were into and they would rush out and buy a record. They were into the poster and the sleeve design. 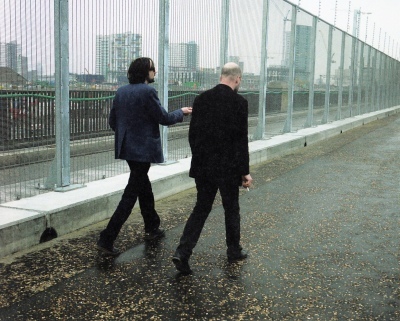 GT: It was about reproduction and actually right up until quite recently, people would be incredibly disappointed when the live performance didn't sound exactly the same as, or even challenged, the recorded performance. People actually are starting to realise that they enjoy the moment. JC: This was brought home to me very clearly when I did the Meltdown Festival at the Royal Festival Hall a few years ago. We had this thing, the underage club, where bands play but you can't be older than 18 to attend. I was allowed in because it was my idea. I really noticed that it was the polar opposite of how I'd experienced things. When a band was on, the kids all rushed to the front and jumped all over the place and just went crazy. Then when somebody played records in between, they all went off and chatted and didn't dance at all. My experience when I was growing up was the opposite. People would dance in discos and stuff like that, but they'd go to a band and just stand there with their arms folded. GT: With their arms folded is quite good, isn't it. JC: Kind of... Let's talk about a different thing. Nicolas Bourriaud curated the Tate Triennial, it was called Altermodern. GT: The notion of Altermodern was a form of thinking about associations and a way of operating culturally, that there was a similitude between certain ideas, that certain ways of thinking had a stronger bond and were perhaps more connected than just cultural or vernacular bonds. That maybe that there would be artists working in London who were more closely allied to artists working in Berlin, than those working in Somerset. JC: The fact that you're aware of other people that might be working in a similar area, does that help? GT: I think it does help sometimes. If I'm thinking through a series of ideas or a series of thoughts and I see someone else has done it, it doesn't necessarily make me slap my head and go 'Oh damn, I've missed my chance.' Quite often I'll think, 'Oh great. I can go and look at this and I can see how it works and how I feel about it. I can modify my thoughts and ideas.' So, in away I quite enjoy this collective way of working. I suppose I'm trying to question the idea of authenticity as well, the idea of the performance of looking and of being an audience. That's why I'm working on the clay heads that I'm making, to try to involve the process of production and using the audience as the artwork, or as the artist. I think that the audience members are always artists at some point, artworks don't become artworks unless they've got an audience. I'm not a great one for the desert island scenario. JC: That's kind of the clichéd old idea of the artist, isn't it? The person operating on their own and seeing the world in a totally unique way. It's interesting, that if you let go of that and invite other people into something, you're still kind of creating it because you create that situation. You've got some idea. I'm sure you haven't got a total set idea of what you're going to get at the end of it. GT: No, not at all. JC: You set up a situation and then see what happens. GT: That's what you always do when you make a piece of art. I don't want to make ultra didactic art works, which have to be read and understood in a certain kind of way. That goes against the notion of making art in the first place. One of the most important factors of art is that the most successful art is art which can be most misunderstood by the largest amount of people. I got very obsessed with this Che Guevara, Alberto Korda image. It's one of the most well known global signifiers. It's something that means something special and important and significant to a huge amount of people. Obviously that importance and significance is something that's personal, it's not necessarily something that's integral to the image, it doesn't actually live within the image. It's the fact that the image can transfer itself and can map onto whatever experience you want it, or you need it, to map onto. It is a floating signifier. So, maybe the art that I'm making is a kind of floating signifier of art. It's not necessarily specific art. It's an art of non-specifics, except for the fact that I will inevitably make physical objects, which contain their histories. Hopefully it will also enable the audience to look into or be able to see the workings that go on behind the construction of art. JC: I just wondered whether people approach it in very different ways. Some of them are obviously quite jokey and people have enjoyed making them into grimaces and stuff like that. Were people doing it side by side, would there be, say, five people there at the same time? GT: The way that it worked was that we had about ten plinths, stands that were in an area with some lights on. And we had another area, more like a studio environment with a table and a few tools. We moved the heads from one area to the other so then the heads were worked on a bit and they went from there back to the plinths. At some point you have to take the sculptures out of the making environment because otherwise in the end they lose all. JC: Did you speak to people after they'd done it? Do you have an idea of what people thought, how they felt? GT: I think people really appreciated the idea; they were going around looking at other art and they came across my art and were actually able to do something, to fiddle around and make something themselves. I mean I'm a big fan - and coming back to the project The House of Fairytales, which is this children's arts education project that I'm doing. I'm very keen on the idea of getting people - children mainly - to make and do, to have them not sitting back and being passive. A small amount of passivity is part of the making and doing. GT: What do you do if you feel that way? GT: Do you get angry? Do you get irritated? GT: We had a studio band for a while which was called Retarda, we were really bad, we never practised at all. And at one point I even wrote some lyrics to some songs and then just as we went on I forgot the bit of paper and couldn't remember a single word. But I basically just made it up and realised that it sounded really, really bad and everyone in the audience started looking kind of morose and angry. Somehow I managed to almost absorb all their morose anger and that gave me a certain kind - I mean I almost got quite cross, it gave me some sort of status as the angry person on stage. It seemed to go much better from that moment on and people started responding to it and it seemed to help everyone else who was making up whatever it was that they were making up as well musically. So it's a strange one, trying to figure out how you... you've probably got it down now. JC: Well no, but that's the thing - you never get it down. But there are the kind of shows that you really remember, ones where random things happen. I hate that idea that you can't even see people, that they're 15 feet away. It's much nicer when people are right up to the edge of the stage and they put their handbags down and their drinks are there and you can lean down and talk to them and have a rummage through their bag or whatever. GT: Have a rummage through their bag? JC: Yes, I do sometimes; it's quite good. Like I was saying, it's nice to be in an audience and practically, a band does have to be on a stage because then that allows people to see them. But you shouldn't think that because you're on a stage that suddenly gives you some status and what you're saying is more important than what other people are saying. It's just tike this is the most practical way of doing this thing but you're all in it together. GT: I love that! We're on stage because it's the most practical way of doing it. JARVIS COCKER (born 1963 in Sheffield, UK) studied film at St. Martins college in London. In 1978 he founded the band Pulp, whose frontman he was. They had their breakthrough in the mid 90s with the release of the album Different Class (and songs like Common People and Disco 2000). Along with bands like Blur, Oasis and Suede, Pulp was one of the leaders in the Britpop movement. 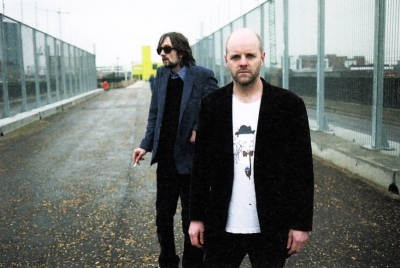 After the break-up of Pulp in 2002, now under the pseudonym Darren Spooner, Cocker founded the electro-duo Relaxed Muscle. For the soundtrack of Harry Potter and the Goblet of Fire in 2005 he wrote three songs, which he played himself in the film as the lead singer of The Weird Sisters. In 2006 he published his debut solo album Jarvis, which was followed three years later by Further Complications. He presents the weekly radio show Jarvis Cocker’s Sunday Service on BBC 6 Music and he lives in Great Britain. GAVIN TURK (born 1967 in Guildford, UK) studied at the Royal College of Art in London and is one of the Young British Artists, who defined the art scene in the 90s. Turk appropriated gestures of artists such as Marcel Broodthaers, Piero Manzoni, Yues Klein and, again and again, Andy Warhol, imitating their work and merging them with quotes from pop culture. Often he appears in his works himself, with his portrait melting into those of his heroes. Authenticity and originality are simply left behind and the role of the artist is radically undermined. 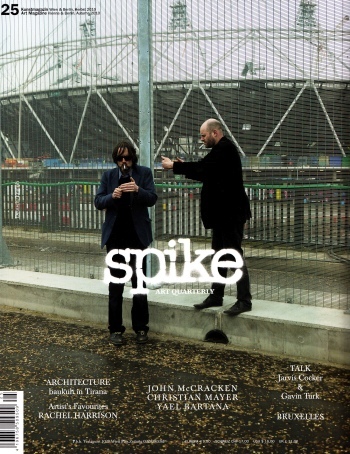 Gavin Turk lives in London. His most recent exhibitions included those in the CAC Malaga; Alrnine Rech, Paris (2010); Turkey Foil, Aurel Scheibler, Berlin; Gavin Turk Ltd, Paul Stolper Gallery, London (2009); Burnt Out, Kunsthaus Baselland (2008).